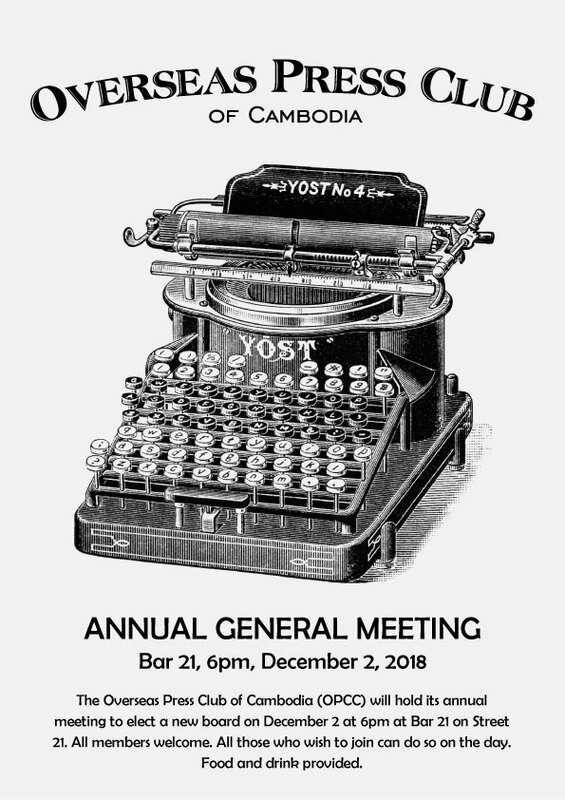 The Overseas Press Club of Cambodia (OPCC) will hold its annual meeting to elect a new board on December 2 at 6pm at Bar 21 on Street 21. All members welcome. All those who wish to join can do so on the day. Food and drink provided.